VIDEO=> Trump Supporter Cries on Election Day: "Finally Someone Gave a Damn That My Dad Lost His Job"
Wow. This is so moving. Cody Knotts is a film producer in Pennsylvania. He is also a Trump supporter. 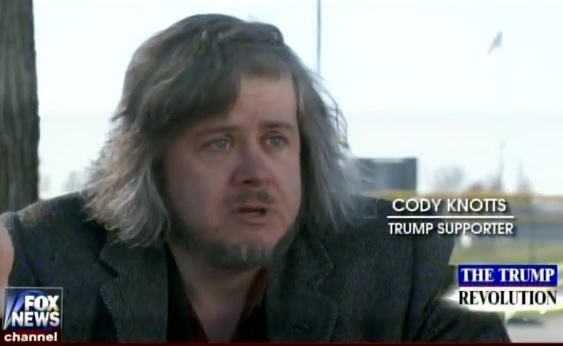 Cody broke down and cried when he told FOX News about how he felt when he heard Donald Trump won the presidency. Hillary Clinton ran on the promise to eliminate more jobs.